Plan to be at this summit. We want to show our dire concern of pumping restrictions, and the new biological opinion, which has been delayed. We want to communicate how unacceptable these restriction are and the need to fix the problem emmediately, not 10 years from now. Two microphones will be set up for attendees to question members of three panels. The ag industry needs to attend and form long lines at these microphones to ask about immediate water needs to keep the industry alive! The Delta Pumping Restrictions, the Biological Opinions, the Bay Delta Conservation Plan (BDCP) and the Alternative Delta Conveyance Project represent the most significant and important water issues and conversations that California has had since the 1982 peripheral canal proposal. Yet, if you asked the average Californian if they know anything much about any of these various items the answer is typically “Not much or not at water”. This is particularly true in Southern California and the Silicon Valley who ironically rely tremendously on their water supplies coming from the Delta. Even in the Central Valley, ground zero for water supply shortages and economic impacts (due to the Delta Pumping restrictions), chances are that most have felt or heard of the Delta problems but really do not understand much about the details. 1. Welcome by CSUF President Joseph Castro. 2. CLWC Member (TBD) introduces Governor Brown (Invited). Governor Brown addresses his Water Supply Vision for California. 3. KMPH Video Overview of the Delta issues and the BDCP at a level the general public can understand and appreciate (Intro by Rich Rodriguez). 4. First Panel discussion, lead by Fresno Bee Moderator Bill McEwen, regarding water agencies roles, challenges and expectations with the BDCP. 5. Second Panel Discussion, lead by moderator (Univision), regarding their roles and actions associated with the BDCP and any short-term relief. 7. 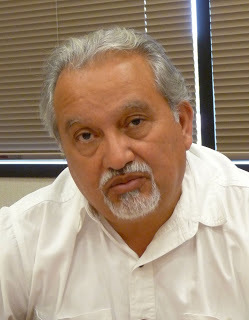 Close with Assemblymember Henry T. Perea, California Latino Water Coalition Central Valley Co-Chair.